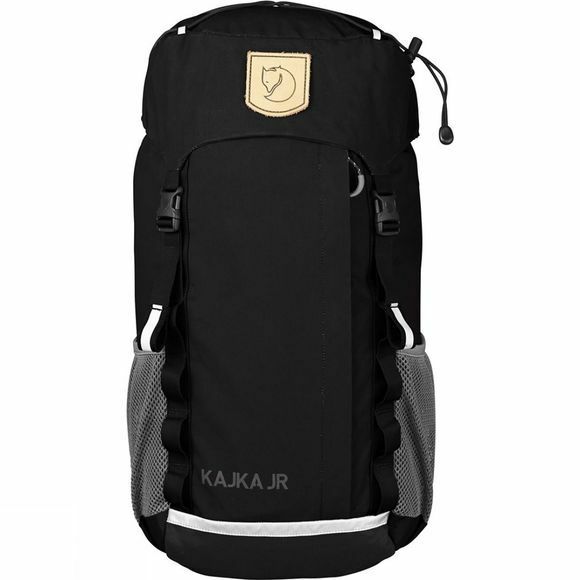 The Kid's Kajka Rucksack is made from durable Vinylon F and has a well designed support system with a supportive hip belt and ergonomically shaped shoulder straps with a top strap. The main compartment is loaded from the top and has a snow lock. There is also a smart front opening which makes it easy to access the contents of the bag. The top lid has a pocket for small items, and mesh side pockets hold, for example, a water bottle. There is also an inner pocket and reflective details. Kajka Jr. is for ages 8-12 and the 20 litres are designed to provide space for clothing and personal items that your child will want to bring on the mountain adventure.